There is no question that, the feeling of underwater freedom can only be fully exploited without a dive buddy. However, diving without a buddy requires a lot of knowledge and skill. 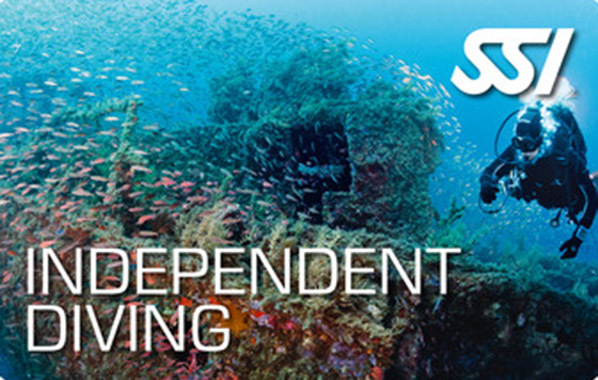 The SSI “Independent Diving" course prepares you step by step for diving without a dive buddy. As part of the course, you will get to know what it means to dive without a buddy and learn which special considerations are to be taken into account in this case. In addition, you will learn how to properly maintain your equipment and learn specific rescue techniques. After completion of the course, you will be able to dive safely and comfortably without the need for a buddy. Prerequisite for the certificate is the Advanced Adventurer and a minimum age of 18 years.